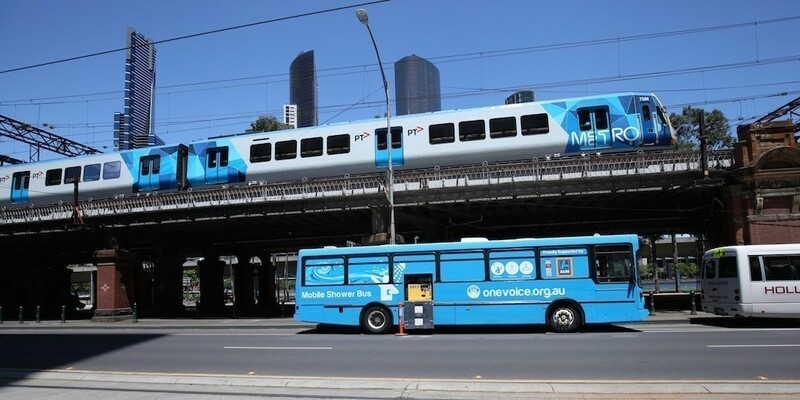 A bottled water deal between a Melbourne Not for Profit and a supermarket chain has helped deliver a mobile shower service for the city’s homeless. 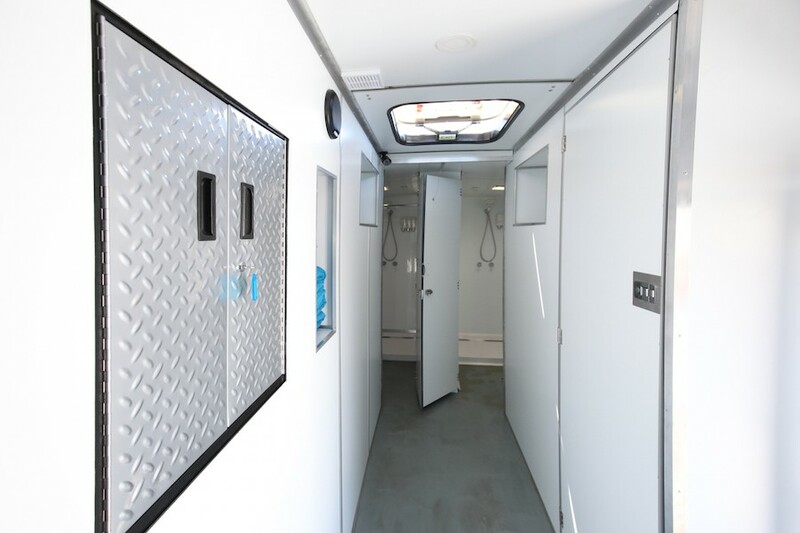 Billed as a world first, the Mobile Shower Bus promises a place for people with no access to a safe, clean bathroom, to enjoy shower facilities and hygiene products, and even clean underwear. President of Not for Profit group One Voice, Josh Wilkins, a former youth worker and social justice advocate, came up with the idea after speaking to homeless people and spending six months in self-built campervan to better identify the challenges they face every day. In trials around Melbourne, Wilkins found that up to 18 people used the Mobile Shower Service each night. The new service in the specially fitted out bus is available three days a week at Enterprise Park and on the corner of Swanston and Collins Street in Melbourne’s CBD. A second service is due to be launched in Sydney next Tuesday. Issues with people’s health were a major concern, especially during winter. There was a genuine and overwhelming need for access to safe and clean shower facilities. The public facilities available were limited, dirty and overcrowded. Existing services are only available weekdays between 10am and 1pm. 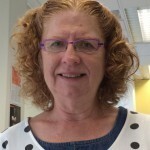 “People worship the service,” Wilkins told Pro Bono Australia News. Wilkins said users respected the access they have and most stay under the shower for only five minutes. The bus, which carries 2,000 litres of water (equal to about 40 showers) and takes $380 worth of petrol, was donated by Ventura Bus Lines and cost $140,000 to fit out. Wilkins said funding from ALDI Australia along with the sale of bottled water, plumbing supplies from Tradelink and the design expertise of EMS – Engineering and Maintenance Solutions made the venture a reality. The second bus, donated by Sydney Transit, has cost slightly less to equip, based on fine tuning the original designs. Wilkins said the mobile showers were “technically” a world first. He said a similar service was launched in San Francisco but that bus has to be tapped into a water supply. Wilkins said the team at One Voice concentrates on building relationships. He said homeless people are invited to join them for a BBQ, haircuts, conversation and even a shower. Pro Bono News featured another enterprising team who are helping to make life easier for people living on the street. Young Australians of the Year Nic Marchesi and Lucas Patchett set up the world’s first free mobile laundry service two years ago. The One Voice team meet up with them if there were no bathroom or shower facilities where they are parked. Earlier this month, entrepreneur and chef Simon Rowe launched a funding campaign for the SleepBus in Melbourne to provide safe nightly accommodation for those living rough or homeless. Wilkins said the proceeds that One Voice receives from funding through partnerships, donations and sales of One Voice Spring Water go towards helping homeless people and at-risk youth. “We could not have achieved this without their generous contributions. Together we can restore dignity in people’s lives one hot shower at a time,” Wilkins said. Well done to all involved. Innovation at its best ! Do you need volunteer workers? Restoring faith in humanity – this brilliant innovation deserves more recognition… Well done! What a fabulous idea! I recently had some brand new towels given to me but never used… I wanted to donate them… do you take donations of quality towels?